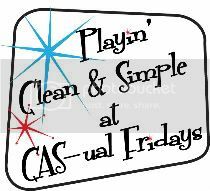 That is the theme for this week's CAS challenge on SCS. I haven't been able to make a card for this challenge in ages, so I am super excited to play along this week! For this card, I started by staring at my A muse stamps. I saw the strawberry stamp, but decided it might be too lonely on the page. I spied the caterpillar stamp, but he didn't quite fit the way I wanted him to on the strawberry. I decided he might like to be stamped along with a delicious leaf, however...and the sentiment was a no-brainer. This is beautiful, Alanna! 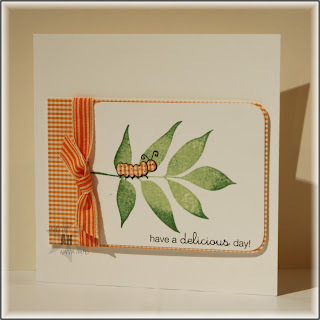 I really like how you inked the leaf and the paper pieced caterpillar is super cute. The sentiment is perfect, too! Smart thinking! Super cute card! What a clever and fun design! The leaf is beautiful ... love the dimension you achieved with the rock and roll inking; and your caterpiller is so sweet-looking as he prepares for his delicious lunch!